[S286] Arthur J. Leary household, 1930 United States Federal Census, New Haven, Connecticut, population schedule, Waterbury, ED 5-252, sheet 8A, dwelling 58, family 170. [S1281] Arthur Leary household, 1940 United States Federal Census, New Haven, Connecticut, population schedule, Waterbury, ED 5-222, sheet 4A, number of household , 64. [S95] Letter, Ada Fehrs to Taryn L. Phelan, 3 May 2002. [S160] U.S. Public Records Index. [S1299] The Waterbury Republican-American, 31 December 2012, Page 5B. [S1281] Arthur Leary household, 1940 United States Federal Census, New Haven, Connecticut, population schedule, Waterbury, ED 5-222, sheet 4A, number of household , 64, shows father as Arthur Leary. 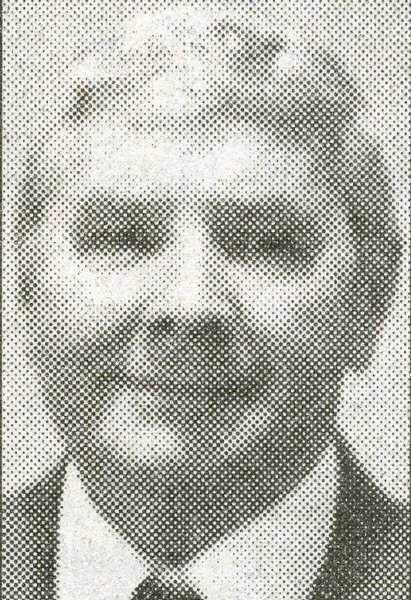 [S1299] The Waterbury Republican-American, 31 December 2012, Page 5B, showed that he was the son of the late A. Joseph Leary. [S1281] Arthur Leary household, 1940 United States Federal Census, New Haven, Connecticut, population schedule, Waterbury, ED 5-222, sheet 4A, number of household , 64, shows mother as Rosemary Leary. [S1299] The Waterbury Republican-American, 31 December 2012, Page 5B, showed that he was the son of the late Rosemary (Synnott) Leary. [S286] Arthur J. Leary household, 1930 United States Federal Census, New Haven, Connecticut, population schedule, Waterbury, ED 5-252, sheet 8A, dwelling 58, family 170, shows age 5/12 months and birthplace as Connecticut. [S405] Connecticut Marriage Index, 1959-2001: Arthur J. Leary and Jean M. Miller, 27 March 1971; shows age 41. [S1299] The Waterbury Republican-American, 31 December 2012, Page 5B, shows that he was born on Nov. 16, 1929, in Waterbury. [S1299] The Waterbury Republican-American, 31 December 2012, Page 5B, showed that he was a US Navy Korean War veteran. [S405] Connecticut Marriage Index, 1959-2001: Arthur J. Leary and Jean M. Miller, 27 March 1971. [S1066] The Waterbury Republican American, 13 January 2010, Online version:www.rep-am.com/articles/2010/02/09/obituaries/460502.prt, shows that she was the loving wife of Arthur J. Leary. [S1066] The Waterbury Republican American, 13 January 2010, Online version:www.rep-am.com/articles/2010/02/09/obituaries/460502.prt, shows that she passed away on Jan. 11, 2010 at St. Mary's Hospital. [S1299] The Waterbury Republican-American, 31 December 2012, Page 5B, shows that he was a longtime parishioner of SS Peter and Paul Church and the American Legion Post 7330.